office Convert PowerPoint to Pdf provides the fast, affordable way to create professional-quality documents in the popular PDF file format (as default format, as image format, as text format). Its easy-to-use interface allows you to create PDF files by simply click button from word (doc,docm,docx), rtf, powerpoint (ppt,pptx,pptm) which can be viewed on any computer with a PDF viewer. Its easy-to-use interface only allows you to create PDF files by simply click the "Convert" button. 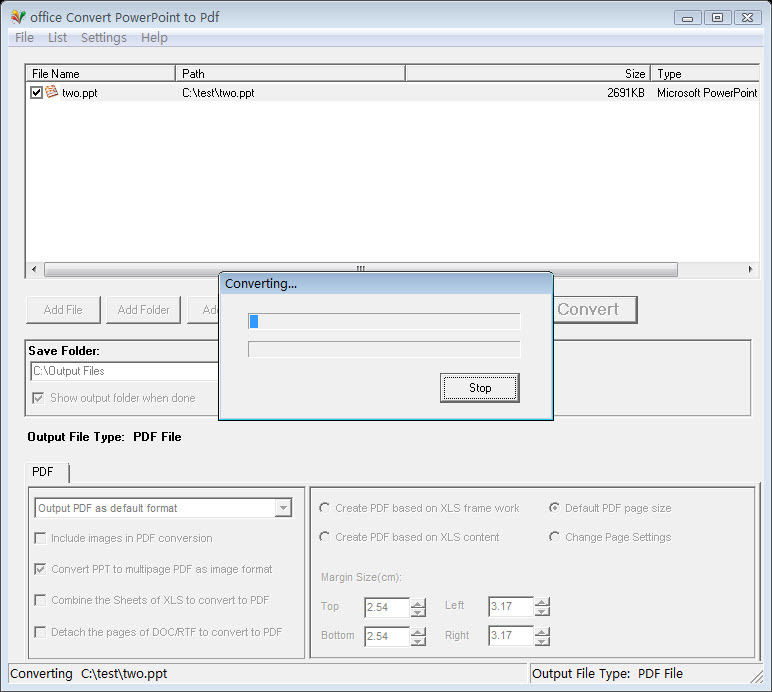 The Converter includes PDF options as Top, Bottom etc .It accurately retains the layout of the original document file. Batch Convert Word (doc,docx,docm),RTF,PowerPoint (ppt,pptx,pptm) to PDF. Qweas is providing links to office Convert PowerPoint to Pdf 6.1 as a courtesy, and makes no representations regarding office Convert PowerPoint to Pdf or any other applications or any information related thereto. Any questions, complaints or claims regarding this application office Convert PowerPoint to Pdf 6.1 must be directed to the appropriate software vendor. You may click the publisher link of office Convert PowerPoint to Pdf on the top of this page to get more details about the vendor.